Iconographic Features: Battle scene. Mythical Monkey depicted with human head. It is holding a trophy head. Description: wooden staff (part of headdress), Staatliches Museum für Völkerkunde, Munich. Iconographic Features: Mythical Monkey wearing forehead ornament. It is holding a trophy head and a feathered spear (with black obsidian blade). 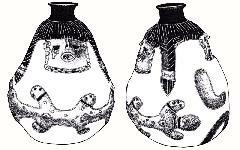 Description: double spout bottle in form of mace head, C-10137, M.N.A.A.H.-Lima. 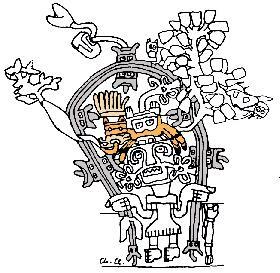 Iconographic Features: Mythical Monkey wearing feather headdress. It is holding capsicum pepper (aji). A One-Eyed Rayed Face is attached to its elbow. 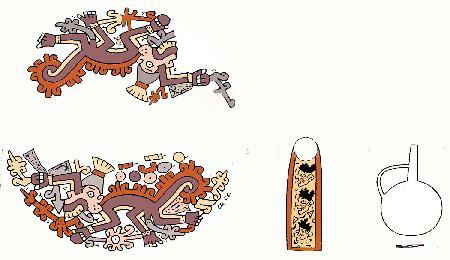 Iconographic Features: Mythical Monkey wearing feather headdress and bloody loincloth. A One-Eyed Rayed Face is attached to its elbow. Spots indicate blood. Spears indicate battle field. Association with trophy heads. Iconographic Features: Two Mythical Monkeys, one of them (right) beheaded. One-Eyed Rayed Faces are attached to their elbows. Mythical Monkey on the left is holding a trophy head with both hands. Association with trophy heads and Rayed Faces. Iconographic Features: Mythical Monkey wearing forehead ornament. Depicted with head turned behind. Mythical Monkey on the left is depicted holding capsicum pepper (aji), the one on the right is holding a trophy head. One-Eyed Rayed Faces are attached to the tail. Association with trophy heads. Description: effigy vessel, C-13447, M.N.A.A.H.-Lima. Iconographic Features: Seated Anthropomorphic Mythical Being holding Feline Man (left) and a warrior (right) who drops a sling. Arms and legs of the Seated Anthropomorphic Mythical Being with enclosed trophy heads. Shoulders with modeled columnar cacti (San Pedro cacti?). Extended tongue in form of a serpent with feline head attached. 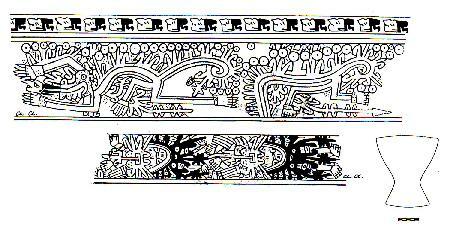 Feline Hawk (left below) and Anthropomorphic Mythical Being with Jagged Tail (right below) are attached to extrusions in form of jagged snake bodies. Description: effigy vessel, location unknown. 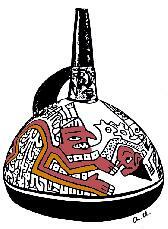 Iconographic Features: Seated Anthropomorphic Mythical Being grasping a warrior with both hands. Arms replaced by snakes. The tip of a long extended tongue touches the head of the warrior (trophy-head taster format). Description: effigy vessel, E.M. Berlin. Chronological Era: Early Horizon (EH), Ocucaje 10 Phase. Iconographic Features: Bicephalic Serpent (BS-1) with secondary snakes emanating from the body. Description: Brooklyn Museum Mantle, Brooklyn Museum of Art, New York. 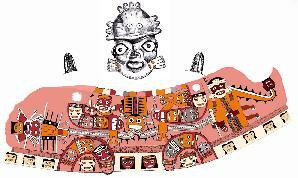 Iconographic Features: Deity-impersonator wearing pampas cat skin headdress (orange) and holding Bicephalic Serpent (BS-2) with secondary feline heads (grey) attached to the body. BS-2 is showed towering above the central figure. Association with vegetation. 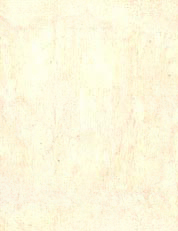 Description: effigy vessel, drawing after Lavallée 1986. 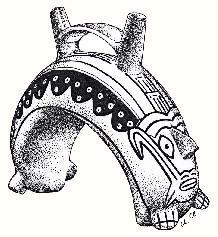 Iconographic Features: Bicephalic Serpent (BS-3) with trophy heads attached to the border of the body. Iconographic Features: Bicephalic Serpent (BS-3). Body with enclosed beans. Iconographic Features: Bicephalic Serpent (BS-3) with trophy heads attached to the border of the body. Body with enclosed trophy heads. Iconographic Features: Bicephalic Serpent (BS-3). Body with enclosed (?) beans, capsicum pepper and jícima.